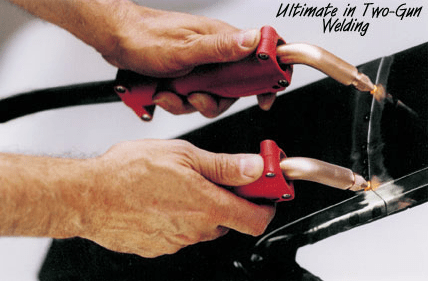 TITE-SPOT PLIERS TMTHE TITE-SPOT Welders has a unique and patented spot welding pliers, featuring – cooling of the cables and pliers assembly using compressed air from your shop. 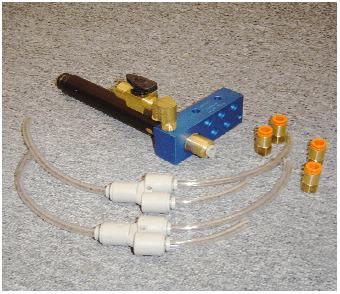 This cooling feature improves the TITE-SPOT duty cycle over 800%. 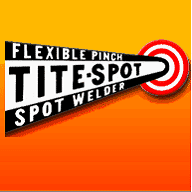 SINGLE SIDED WELDING IS EASY TO DO TITE-SPOT Welders, Inc. offers you the ultimate in Two Gun spot welding. 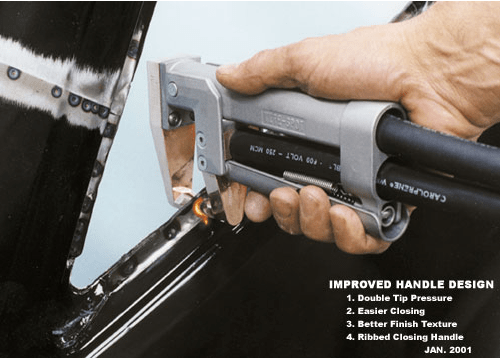 The TITE-SPOT Cool Cords provide the technician with Two-Gun Welding, One-Gun Welding, Pull Stud Welding, Heating and Shrinking. Get a tape measure! Measure the size of the lamination, BIGGER transformers can conduct more power. Measure the size of the primary and secondary windings. BIGGER is always better. The windings of the transformer should fill the window of the transformer. Think of transformers as transmissions for electricity, bigger is always better.